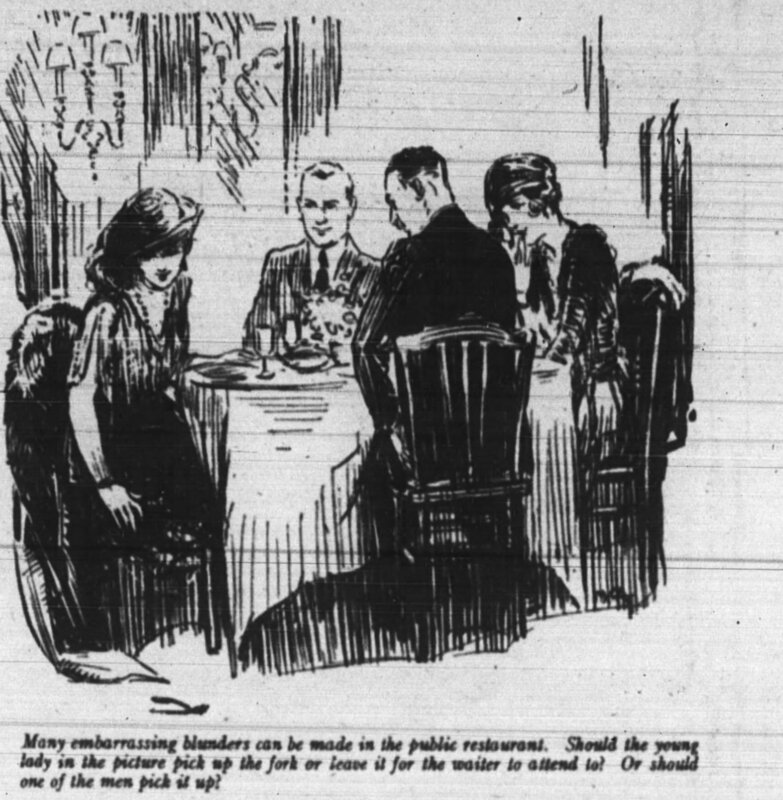 How Well Can You Do On This 1922 Etiquette Quiz? When a man and a woman enter the theatre together, who walks first down the aisle? When the usher points out the seats, does the man enter first or the woman? Should the knife be held in the left hand or the right? Should olives be eaten with the finger or with a fork? What is the correct and cultured way to eat corn on the cob? Are the finger-tips of both hands placed in the finger bowl at once, or just one at a time? When a man walks in the street with two women, does he walk between them or next to the curb? Who enters the streetcar first, the man or the woman? When does a man tip his hat? On what occasion is it considered bad form for him to pay a woman’s fare? May a man on any occasion hold a woman’s arm when they are walking together? I think I know the answer to one of these! Man, I would not have survived society in the 1920s. Dad used to put in a lot of effort Getting on the curb side of me when we’d walk in NYC. I always thought it was very sweet.